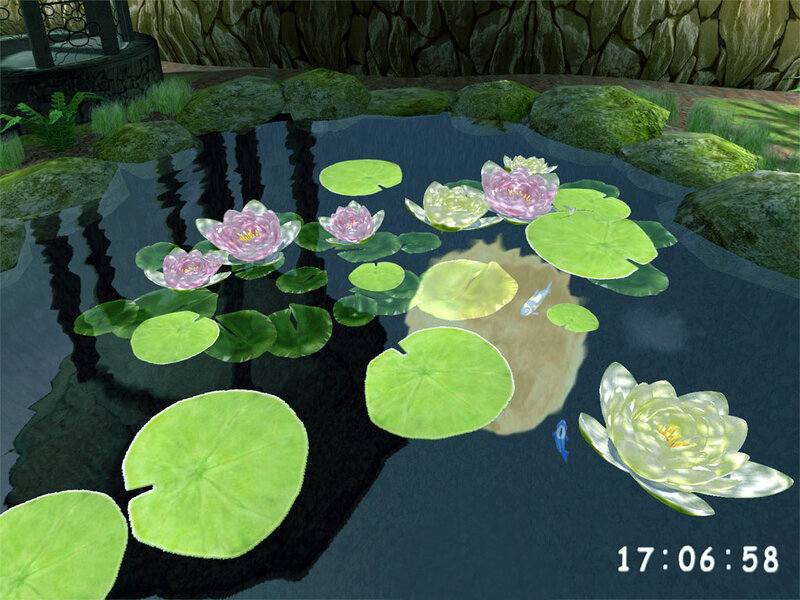 Lovely Pond 3D Screensaver: bring more happiness and harmony to your life! Like the moon light reflects in the water, the surface of the Lovely Pond magnifies our intentions and purifies motivations. 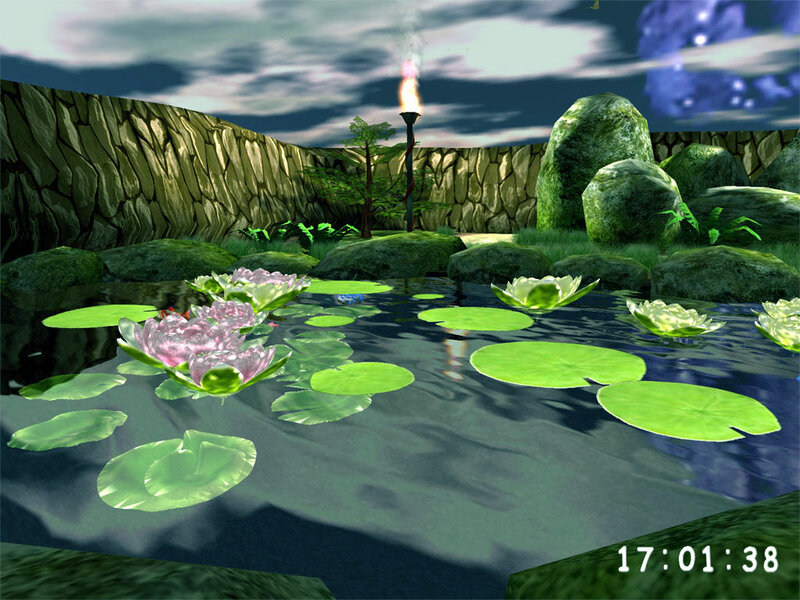 Delight with this ancient wisdom and enjoy calming beauty of the Lovely Pond 3D screensaver designed to bring happiness and harmony to your life. 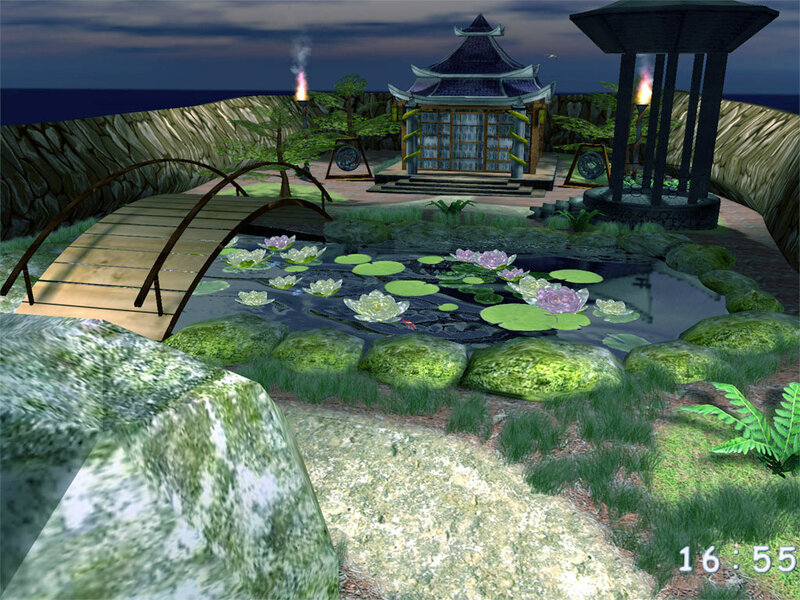 Let this animated 3D screensaver take you to a quiet Japanese garden, a place of peace and power of nature. Feel the spiritual atmosphere of this unique setting with the oriental pagoda in the center. This picturesque scenery together with enchanting music will help you enjoy the mystical harmony with the surrounding natural world.